Grind clove, star anise, and cardamom to a powder. Mix spices with brown sugar and salt. Rub flesh side of salmon generously with seasoning mixture. Place salmon, skin side down, on a wire rack in a roasting plan and cover with plastic wrap. Refrigerate 24 to 36 hours. 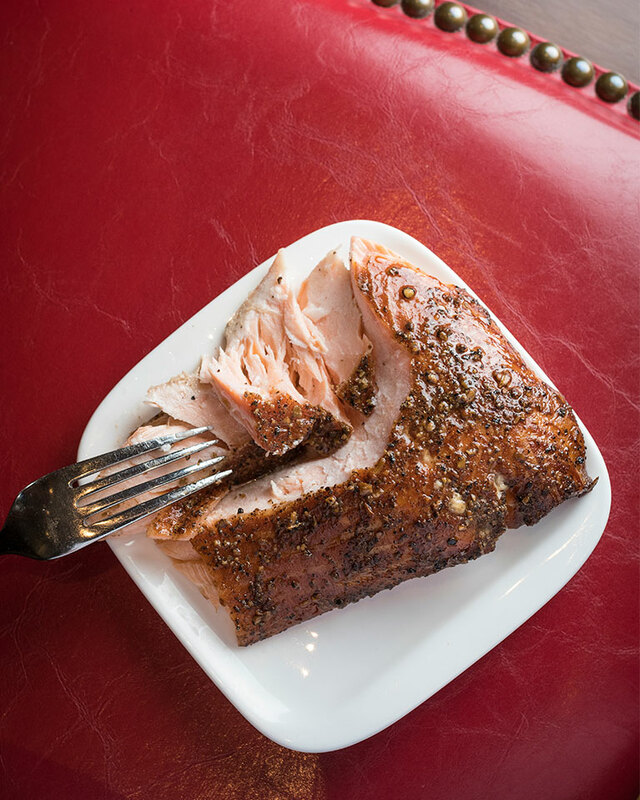 Remove salmon from refrigerator and shake off excess rub. Set smoker up with cherrywood chips and hot smoke salmon for 2 hours or until internal temperature reaches 165°F. To serve: The restaurant serves the sliced smoked salmon in a club sandwich with brioche toast, sliced tomato and cucumber, lettuce, and sauce gribiche—which is essentially a French tartar sauce with capers, cornichons, and herbs.